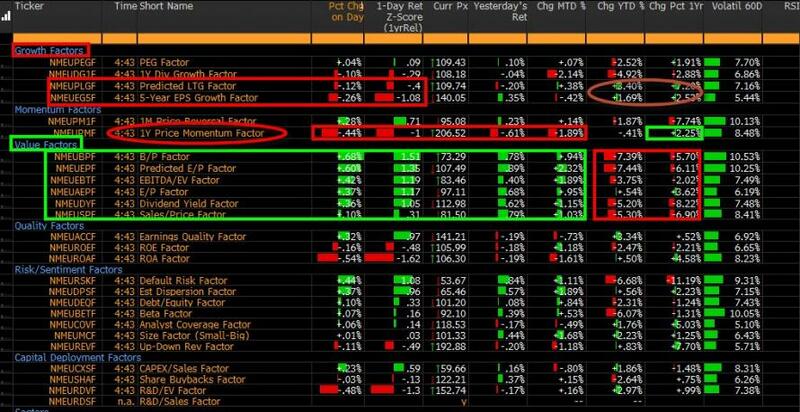 3-Day Blowout In "Value/Growth" Is Biggest Since Lehman Bankruptcy: "A 4.3 Sigma Event"
Global rates markets see a modest “bull-flattening” overnight, as bond bears were left disappointed by BoJ’s "unch" YCC target and “dovish” forward guidance. As I noted last week, it never made sense for the BoJ to “shoot themselves in the foot” in the near-term by “self-tightening” long-end financial conditions into a downgrade of their inflation forecast at the same time—instead, expect a painfully-protracting process of “conditioning the market” in coming-months to avoid a JGB VaR-event. 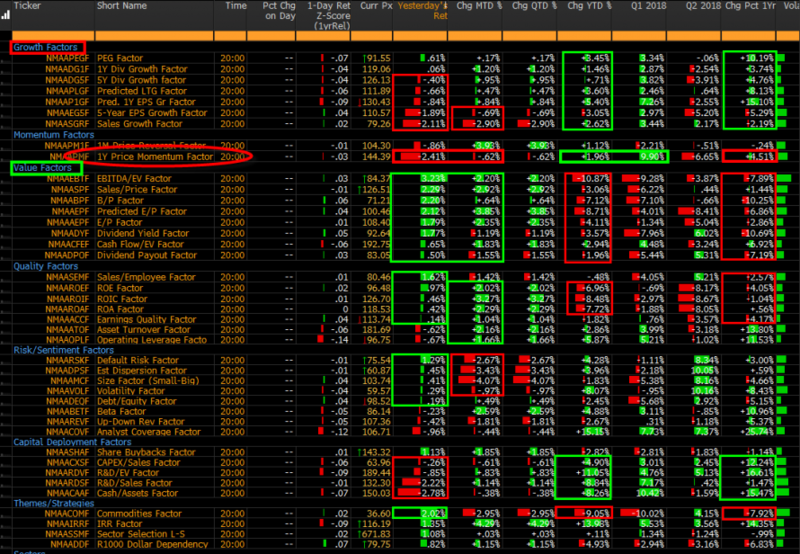 Topix Banks respond with disappointment -2.8%, as the YCC “non-event” disappoints those hoping for a steepening of the curve, while the ETF tweaks are simply “inline” relative to high-expectations. 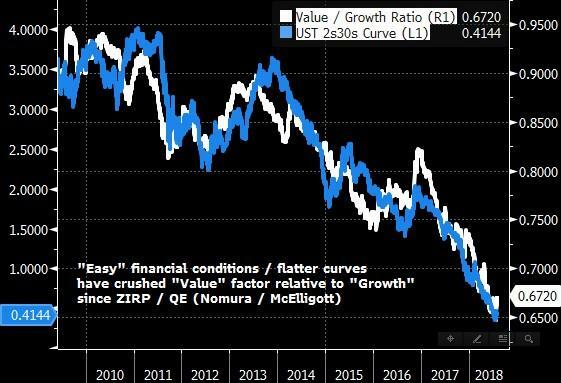 However, despite the modest “re-flattening” of global yield curves off the back of the BoJ, the violent (and clearly “performance-negative”) unwind of the Equities “Long Growth, Short Value” legacy portfolio construct experienced since the start of last week continues, with both EU- and Japan- “Value” again seeing massive outperformance vs “Growth” factor categories (monitors below). The collective three-day move in U.S. “Value / Growth” has been the largest since October 2008--a 4.3 standard deviation event relative to the returns of the past 10 year period--while conversely “1Y Price Momentum” sees its largest three-day drawdown since the Nov ’16 election post-trade. 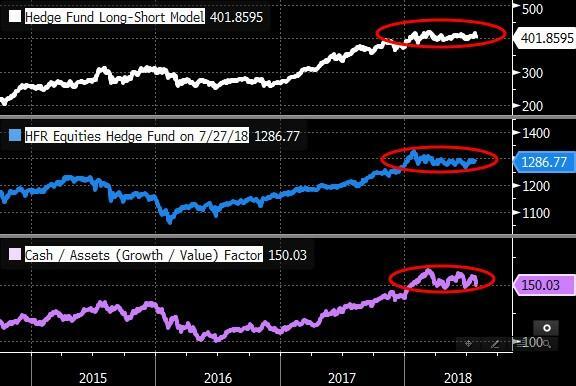 Enormous underperformance of popular longs relative to shorts speaks to “net-down” behavior at the very least across Equities-funds, although seeing pockets of outright short squeeze speaks to a fair-bit of “de-grossing” as well—ESPECIALLY across the quant market-neutral universe. The question now becomes whether Value continue to outperform Growth if the tape turns to an outright ‘risk off’ one over the next few weeks of seasonal weakness, prior to commence of heavy (Tech-led) buyback. This “dovish” BoJ is now-paired with the increasingly “frantic”-looking PBoC, as misses in both Mfg / Non-Mfg PMIs for China out overnight further confirm the growth slowdown challenge.